Without much publicity or fanfare, Laure de Clermont-Tonnerre has unbridled a most unusual animal-bonding story. 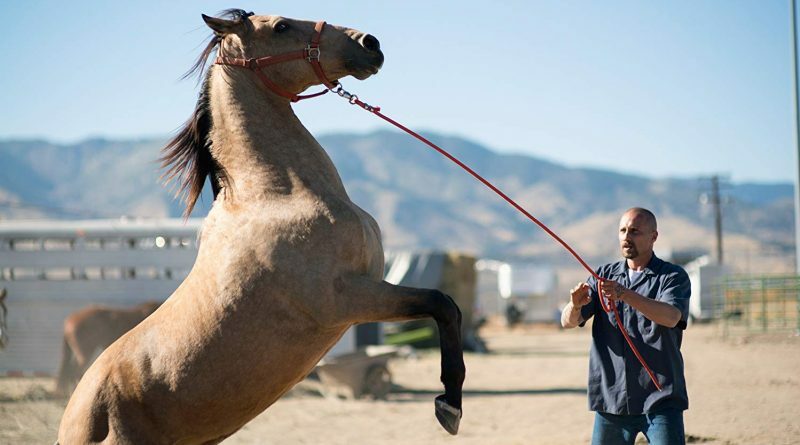 In rural Nevada, an inmate, is accepted into the selective wild horse training program that changes his life. Taming wild animals—human or equine—demands incredible patience as demonstrated in director Laure de Clermont-Tonnerre’s The Mustang, which draws on Wild Horse Inmate Programs that pair hard-core prisoners with mustangs. A designated inmate trains his assigned horse for auction. The sale money funds the ongoing Mustang project.